There are many reasons to choose neurofeedback over other treatments. It’s a safe and effective therapy for conditions like anxiety, depression, ADHD, insomnia, and PTSD. Once you start to learn a little about BrainCore, you’ll realize why neurofeedback is preferred by doctors and patients around the world. Neurofeedback should play a major therapeutic role in many difficult areas. In my opinion, if any medication had demonstrated such a wide spectrum of efficacy, it would be universally accepted and widely used. But no such medication exists, and medications often come with side effects. 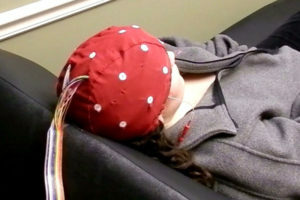 Neurofeedback is different: safe, painless, non-invasive, drugless, and effective. If it feels like your symptoms are creating chaos in your life, we can help you put the pieces together. Neurofeedback is safe, non-invasive, and produces no side effects. In fact, the U.S. Food and Drug Administration recognizes that neurofeedback has never produced a serious side effect since it was first discovered more than 40 years ago. 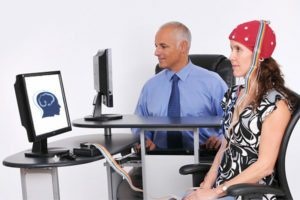 BrainCore neurofeedback is effective, with outcomes lasting decades. 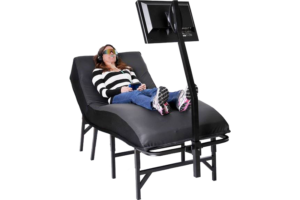 Published scientific research has demonstrated the efficacy of neurofeedback in managing many neurological conditions, such as anxiety, insomnia, PTSD, depression, ADHD, and more. Nashville BrainCore Neurofeedback is fun! Our process involves watching movies and playing games, but it’s no gimmick. As we monitor your neural activity, your brain will make its own adjustments to your brainwave patterns in order to produce desired effects. These are things like brightening the screen during a movie or telling Pac-Man to run from those ghosts. The brain naturally wants these outcomes, and we will teach it how to achieve them. There are many reasons why neurofeedback is the better treatment option: no side effects, safe, effective, prescription-free, and even fun. If you’re still unsure, send us a message or give us a call today!